RESTORATIVE DEVELOPMENT: How Will Communities ‘Get It Right’ as Land Develops and Redevelops? 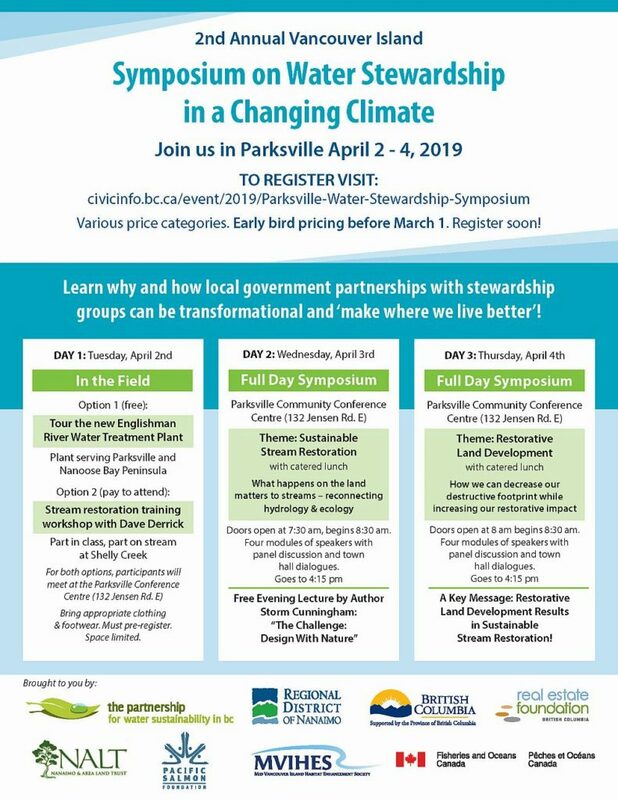 Join delegates from the east coast of Vancouver Island and beyond, and attend a ‘watershed moment’ in the City of Parksville on April 2-3-4 for a field day followed by the 2-day symposium. The bridge between the two symposium days is a free public lecture by Storm Cunningham, author of The Restoration Economy. Storm’s lecture is titled “Nature Is Regenerative: We should be too”. Storm Cunningham is one of three prominent headline speakers from the United States who are part of the Parksville 2019 presentation team. Along with Dr. Chris May and Dave Derrick, he connects us with a larger body of experience. Storm will also provide Closing Reflections with a commentary on what he heard throughout the 2-day symposium. “At the Parksville 2019 Symposium, delegates will learn how communities can apply science-based understanding to increase their restorative footprint and at the same time decrease their destructive footprint. Delegates will also learn about local government initiatives that are ‘getting it right’ and are moving along pathways that lead to restorative land development. 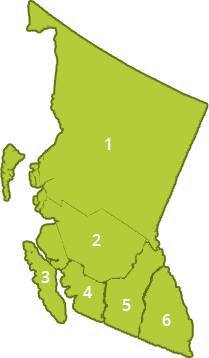 Follow these leaders!,” states Peter Law, President of the Mid Vancouver Island Habitat Enhancement Society (MVIHES), one of three organizations co-hosting Parksville 2019. We experience climate change primarily though water – intense rainfall, floods, droughts and so on. The major driver of economic growth in the twenty-first century will be responding to climate change, redeveloping our nations, revitalizing our cities and towns, and rehabilitating and expanding our ecosystems. This is not some wistful vision of the future: it’s already happening. A takeaway for Parksville 2019 is that the essential ingredients for restorative development encompass: vision, strategy to deliver the vision, and commitment to implement an ongoing program. Vancouver Island success stories are beacons of hope. They demonstrate how a good strategy is the path to success.